Your Source for Northern Colorado Real Estate! We, as a Team of Professionals, are committed to provide honest and exceptional service. We believe the purchase or sale of real estate should be a positive, profitable and enjoyable experience for YOU! Team Cook serves the entire Northern Colorado real estate market which include the areas of Loveland, Berthoud, Fort Collins, Windsor, Longmont, Johnstown, Milliken, Severance, Laporte, Timnath, Wellington, Estes Park, Evans, Greeley and other surrrounding areas! We also serve the Boulder County, Larimer County, and Weld County areas. If you are considering buying a home, selling a home or both, we know these areas inside and out! Featured Property for Sale: Some of the best properties for sale are displayed right here. As experts in the Northern Colorado real estate market, we can provide you detailed information on these homes, or any others! 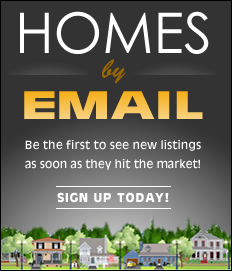 Email Listing Alerts: Be the first to know what's coming up for sale in the Northern Colorado real estate market with our New Property Listing Alerts! Just tell us what you're looking for and we'll email a daily update of all homes listed for sale since your last update. You can unsubscribe at any time. Avoid Foreclosure: Are you facing foreclosure? You may have a better way out. Contact us today to discuss your options. We believe the purchase or sale of real estate should be a positive, profitable and enjoyable experience for you. Enjoy your visit and please contact us if there is anything we can do to make your next home buying or home selling experience the best it can be!